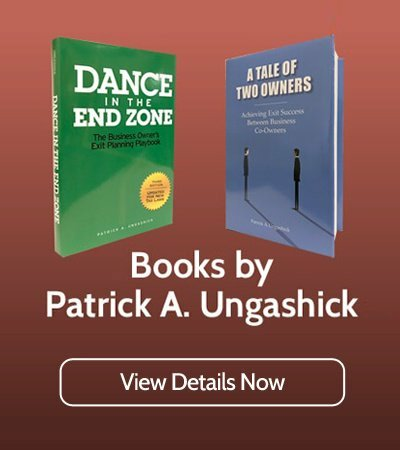 Over the next fifteen years, approximately 9 million Baby Boomer business owners will exit from their privately owned companies. Most of them are not prepared, and will need help. If you are somebody who has an interest in working with CEOs/owners to help them achieve a successful exit, we would like to speak with you. 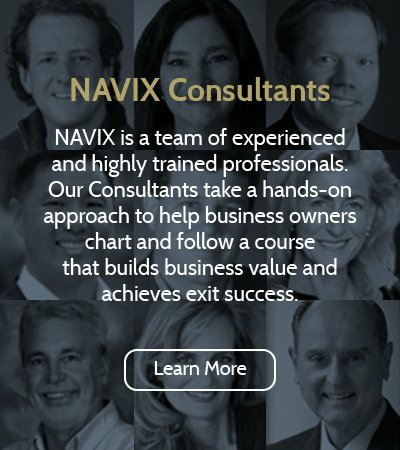 We seek individuals who are interested in becoming a NAVIX exit planning consultant, either on a full-time basis, or as an additional capability to their existing professional occupation or services. The market need and opportunity is massive. In this specialized field, today little competition exists. 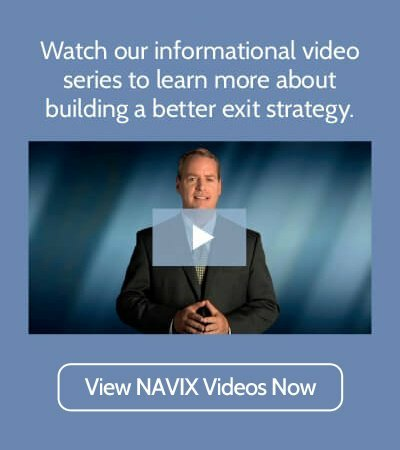 Exit planning and NAVIX may be an opportunity to leverage your existing CEO/business owner relationships, increase your recurring income, and make a difference in clients’ lives. Accountants, attorneys, or investment bankers who want to diversify their service offering, or who want to enter this growing new marketplace. Watch this four-minute video about why the need to help CEO/owners get ready for exit is so great, and therefore why the market opportunity is so massive. Are You Interested in Helping Business Owners Achieve Successful Exits? If you are passionate about helping business owners grow their businesses, and see the vast need for help in exiting their business, then you may consider a career in Exit Planning. Accelerate your success by leaning on NAVIX’s Client Support, Training and Marketing Assistance. Deep and detailed resources support your journey through a new client relationship.